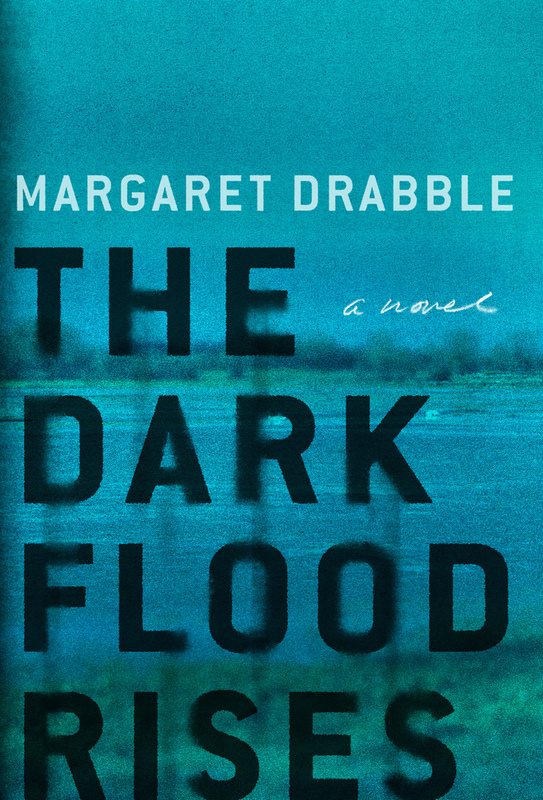 Margaret Drabble, in The Dark Flood Rises, turns her discerning eye to old age and death. Death is the dark flood, which must one day too soon engulf those of us, like Drabble, now in our seventies, just as it ultimately engulfs us all. Drabble’s new novel features a large cast of English seniors coping with old age and facing, or trying to deny, death. You could call this bunch over-educated and privileged, by and large, but they make good companions for confronting fate. Fran, the principal character, is still working — driving all over England to promote safe housing for the elderly on behalf her employer, a benevolent foundation. She loves staying in Premier Inns, a mid-range motel chain, watching the local news, and sipping a stiff whiskey before bed. Claude, Fran’s ex-husband, is confined by illness to a comfortable flat in London, where he listens to Maria Callas recordings and is visited daily by Persephone, a gorgeous caregiver from Zimbabwe. A retired physician, Claude achieves transcendence each day with a self-prescribed psychedelic drug. Fran, for reasons even she doesn’t quite understand, has taken to delivering meals she prepares each week for Claude to keep in the freezer and reheat. I’d like the recipes for some of her dishes — chicken tarragon, potato-anchovy-egg bake, and kedgeree — a curried rice and fish casserole much favored at British brunches. Down in the Canary Islands, Bennett, a retired historian, and Ivor, his younger companion of 50 years, have been leading a busy social life but are slowing down. Bennett has decided to write a brief history of the Canaries for tourists to buy. Ivor doubts it will sell, and financially dependent on Bennett, he is worried about how he will survive when the great man dies. But I think Drabble is celebrating the many and diverse courses seniors take. Certainly she celebrates her friend Josephine, who leads a seminar for seniors on poetry that deals with aging. Josephine researches obscure literary topics largely because she likes being in libraries. She imbibes an exotic cocktail every Thursday evening with Owen England, another retired academic, who is writing a monograph on clouds. Drabble also celebrates connectedness. Her characters are all connected in some way, and though some are certainly selfish, they worry about one another and give help and comfort where they can. None can stave off the inevitable, however, and Drabble offers insights into the many ways of dying. You’ll want to keep your laptop or IPad handy when reading this book, both to look up unusual words (“caducity”), and to familiarize yourself with the many artists and intellectuals from the first half of the twentieth century that Drabble’s characters summon up. Unamuno, Cesar Manrique, and de Chiroco have been off my radar, but it was fun to bone up on them. The book is replete with penetrating phrases and quotations that inspire reflection. Drabble gives us DEP (Descanse en Paz or Rest in Peace), to think about. It’s inscribed on the anonymous grave markers of African migrants who drowned trying to reach the Canaries. I don’t expect a great deal of obedience as my days draw to a close, but I would surely welcome honor, love, and troops of friends. This entry was posted in Books, Grave Matters on March 21, 2017 by Ray Copson. So appreciate your review of this book — have reserved a copy at my local library — can’t wait to see what it has to say for us slightly younger going to be senior hopefuls…. Well, if reading this book on your recommendation constitutes obedience, I may give you some of that. It sounds fascinating — depending, of course, on the level of writing but I think I can take your word on that. But, gee, am I already having second thoughts? All of these people sound wealthy and dilletante-ish. Will I become quickly annoyed with them? I’ll let you know. Joan, My thoughts exactly when I reviewed the draft. I’ll read the book anyway as Drabble is a great author. (Glad to loan you our copy.) Please don’t infer from this post that Ray has abandoned or lost track of his social conscience. He looks for insights where they present themselves. The sanctity of Social Security, Medicare and Medicaid remain three of our highest priorities. As always, thanks for the input and commentary. It makes for a richer discussion.